Join me for a workshop photographing some of the most beautiful arches, canyons, and red rock that southeast Utah has to offer. I am basing the workshop around the full moon! 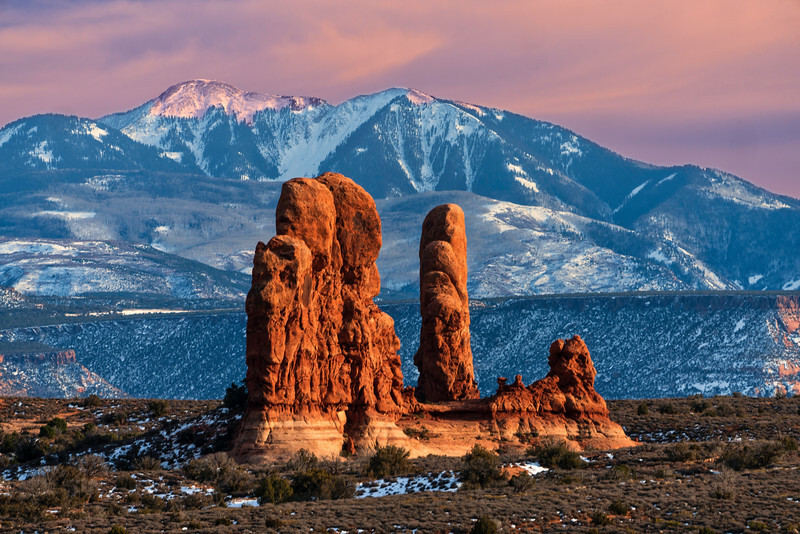 We will be hosting the workshop in Moab, which conveniently sits amongst Arches and Canyonlands National Parks. We will also be photographing the beautiful Dead Horse Point State Park! I have decided to move this workshop from Fall to Winter to add to the chances of some snow and dramatic skies. Moab will also be far less crowded at this time of year allowing for no wait times at local restaurants. I will have another qualified pro instructor with me for this workshop.I have purposely planned this workshop during early late January to early February to take advantage of the full moonrise/moonset. This will be our 10th year holding this workshop and it sells out fast so don't delay! 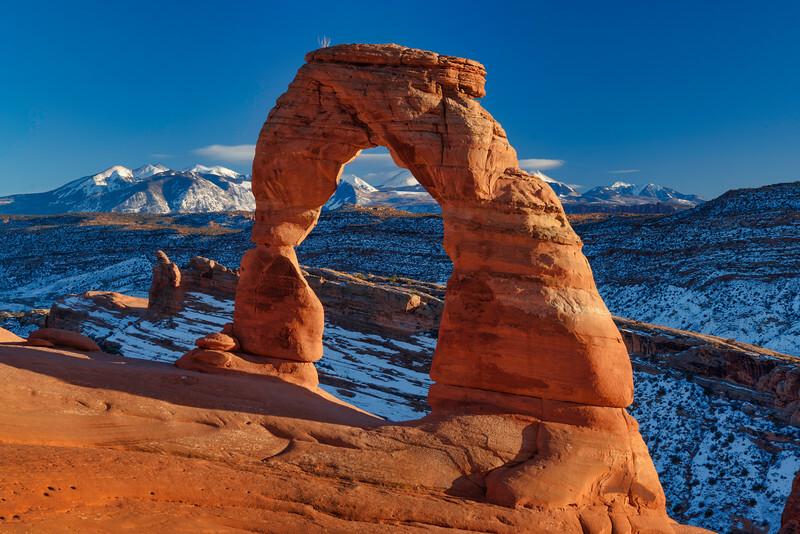 2020 Tentative Schedule: Friday - January 8 - Workshop officially begins at 12:00 pm with a 2-hour group orientation meeting followed by a sunset shoot at the famous Delicate Arch. 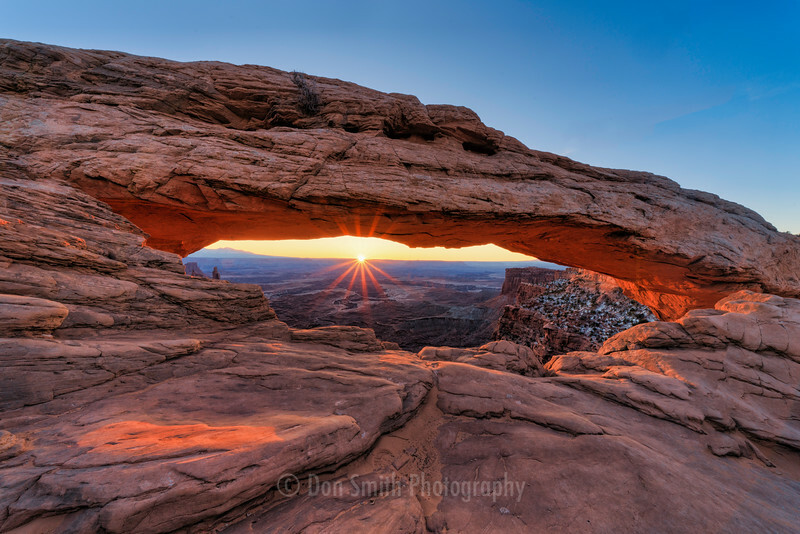 Sunday, January 9 - Wednesday January 12 - We will explore many of the famous icons of both Arches and Canyonlands and take advantage of the spectacular sunrise and sunset light. As in the past, we will also take advantage of the full moonrise and set. We will also include at least one evening of "star photography" at Arches utilizing one of the famous arches as our subject! We'll will also be visiting famed Dead Horse Point State Park as part of this workshop. This workshop will have an emphasis on field location shooting. It will also include two sessions of Photoshop training and a minimum of two image review sessions. Workflow training will include: RAW processing in using the latest version of Lightroom CC and complete workflow training in the latest version of Photoshop CC. Workflow topics will include: preparing an image for both print and web presentation, proper methods of setting white and black points, how to "properly massage the middle tones," color balance, localized tonal and color adjustments via luminosity masking, 32-bit blending techniques, blending multiple exposures via layers and masks, freehand masking techniques, selection of masks based on both tones and colors, proper sharpening and noise reduction techniques, etc. The workshop will conclude on January 22 following a sunrise shoot. We will be back to hotel no later than 10am. Cost: $1795.00 (includes 4 nights lodging in Moab, Utah. Each participant will have their own room - no sharing). Free Continental Breakfast included. Frequently Asked Questions: Arches/Canyonlands/Dead Horse State Park FAQ's: CLICK HERE. Lodging/Meals: Lodging for 4 nights is included at Best Western Plus Greenwell Inn . Meals are not included in price of workshop. Transportation: We will carpool to shooting locations. Participants are required to have transportation to and from the workshop and workshop locations. Cancellation Policy: To view our cancellation policy, please CLICK HERE. 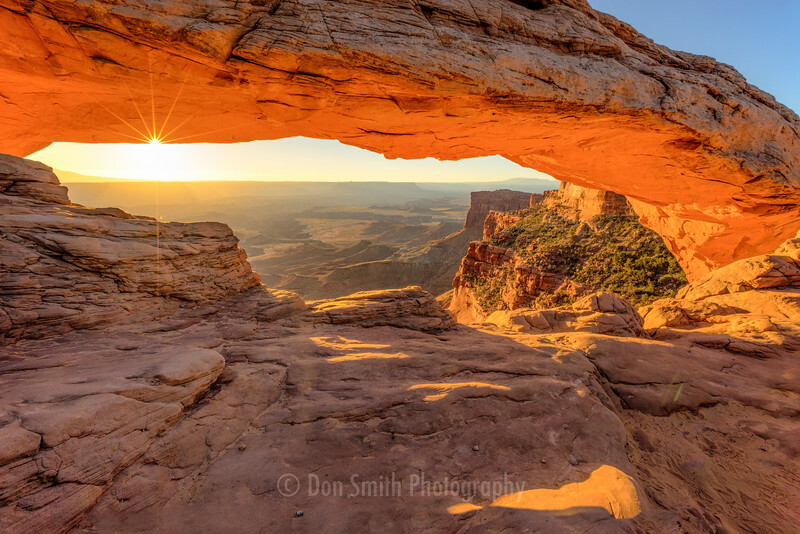 Don Smith Photo Workshops carries valid Commercial Use Authorization Permits for both Aches and Canyonlands National Parks as well as Dead Horse Point State Park. We are fully insured and instructors have certified advanced first aid training. Don Smith Photography LLC cannot be held liable for any Park closures or weather-related closures.